Since the winter is coming pretty fast it is time to change the summer tires with some proper winter tires. 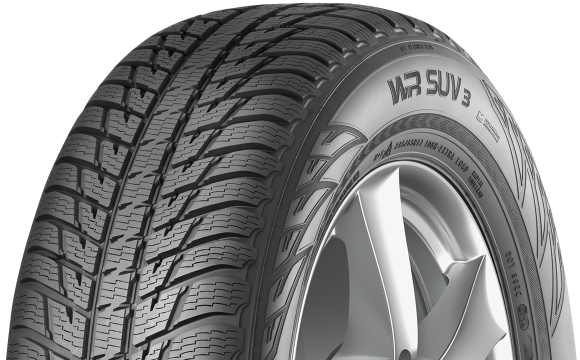 Nokian WR SUV 3 is one of the best winter tire designed for SUVs and Trucks. Stay a little longer with us to learn why we consider the new Nokian WR SUV 3 tire one of the best Winter SUV Tires for SUV. Nokian WR SUV 3 is designed to provide optimum performance in winter conditions, to offer good grip and a dynamic rolling behavior for SUVs. It prevents the car from aquaplaning on wet and snowy roads, and it will handle almost winter can throw at it. Nokian WR SUV 3 will keep the car on its line on all types of roads, dry, wet, mud or snowy. More importantly, the tire has and indication to wear right on the tire with different values: 8-6-4, so you will know quite easy when you need to replace it – when the indication wear reaches 4 and you can’t see the snow anymore. So, we needed 4 tires for our SUV (a Ford Kuga) since we wanted to make a small trip into the mountains. We ended up with 4 tire Nokian WR SUV 3 235/50/R18 XL. When doing a Nokian WR SUV 3 Review you may wonder why we didn’t choose another tire. Well, if you have a SUV or a Truck, not all tires are produced with all dimensions. For SUVs and Trucks its quite hard to find the proper tire for your wheels, especially if you have bigger wheels, 19-20 inches and so on. Surprisingly, Nokian WR SUV 3 came in 39 sizes, for wheels from 15 to 21 inches, thus covering the entire SUV area, from small and cheaper SUVs to the most expensive ones. On our way up the weather was pretty nice, for winter, with dry roads and a clear sky. The car felt quite good, it remained on the road no matter what we tried to do, especially in the corners. Not for a single moment it felt wobbly, or unstable. This are quite good news because not all the times you will find lots and lots of snow on the roads. In these parts around 50-60% of the winter we have dry roads. It is true that the temperature is usually bellow 0 Celsius degree, but the roads are usually dry. The next day we encountered some snow, not too deep, around 2 inches deep, and the tires did their job. Not for a single moment the car went outside its designated track and the overall performance was impressive. The car climbed uphill quite easy and we had no problem turning the car around or avoiding bumps and stones. At some point, where we found ice instead of snow, the iAWD came to life and helped the car find its grip. This is normal on icy roads, since these tires had no spikes, to see the AWD system coming to life. After all, this is why you will buy an AWD system for your SUV. While the tires perform very good in snow or on dry roads, in slippery wet roads the things complicate a bit. As the surface deteriorates they maintain a good level of grip, but the more slippery the road gets the worse the grip will be. This is, to some extent, normal since in extremely slippery roads, with mud and leaves, the large majority of tires will have problems maintaining the grip. But we expected a little bit more from Nokian WR SUV 3 Tires. No noticeable noise, despite the tread pattern looking as though it would be noisy. Nokian put out an information sheet describing these tires, and the information is quite accurate. About fuel consumption, we noticed a slightly reduce in fuel consumption, but not too much: maybe 4-5%. Road comfort is quite good as well. Most users who bought these tires said that Nokian WR SUV 3 lasted more or around 50K km, which is a good number, not excellent, but good. Because of its good quality and safety when driving on dry, wet or snowy roads we recommend you to buy and use these tires, as winter tires. They provide the necessary grip and comfort in winter conditions. Keep in mind that these are SUV Winter Tires and they won’t perform that well in the summer. If you want to find out what are the best Winter tires for SUVs you can read our Top 5 Best Winter Tires for SUV. 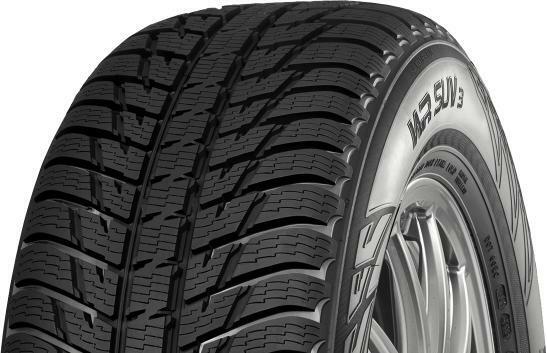 There you will see what we consider to be some of the best Winter Tires for SUV. Also, Nokian offers a wide range of Winter Tires, not just the Nokian WR SUV 3. Their Hakkapeliitta series is well known as one of the best Winter Tires with a history of 80 years. Another good tire is Nokian WR D3 and its replacement Nokian WR D4, Nokian WR A3 and it replacement Nokian WR A4. The WR series from Nokian is designed specifically for Est and Center European Winters and for riding at constant high highway speeds. Previous Post:Automatic Transmissions: How many are on the market? Next Post:Are wider tires better on ice or not?